The scandal, which became public in September 2015, led to the automaker buying back a half million cars in the U.S. and settling a lawsuit with the government for $14.7 billion. DETROIT -- As Volkswagen Group's criminal case comes to a close, a nagging question persists: Who blew the whistle and first admitted to regulators that VW was lying about its dirty diesels? Volkswagen faces sentencing Friday morning in a Detroit courtroom after pleading guilty last month to three federal felonies for diesel-emissions violations, which were brought to light based on information given to federal law enforcement from an internal whistleblower. A new book on the VW diesel emissions scandal by a New York Times reporter asserts that it was an American VW executive who first disclosed VW's criminal acts to regulators. The whistleblower named in the book: Stuart Johnson, head of VW's Engineering and Environmental Office in the Detroit suburb of Auburn Hills, which has responsibility for VW's interaction with U.S. regulators. The book, due out in May, is Faster, Higher, Farther: The Volkswagen Scandal by Jack Ewing. Automotive News received a review copy of the book from its publisher, W. W. Norton & Co.
"You get the feeling from reading the documents that Johnson always felt queasy about the whole situation," Ewing told Automotive News. Scott Lassar, Johnson's attorney, declined to comment on behalf of his client. A spokeswoman for VW Group of America said the automaker declined to comment. The cost of Volkswagen's diesel-emissions scandal, which involves about 11 million vehicles worldwide, is now about $25 billion and continues to grow. The scandal, which became public in September 2015, led to the automaker buying back a half million cars in the U.S. and settling a lawsuit with the government for $14.7 billion. It is also responsible for the automaker admitting its guilt to three felonies under U.S. law -- a distinction that sets its actions apart from previous industry scandals. In the book, Ewing quotes an interview with Alberto Ayala, the deputy executive director of the California Air Resources Board, naming Johnson as the first person to reveal to CARB the existence of VW's "defeat device" software. The book quotes Ayala as saying the revelation happened just prior to a key meeting between CARB and VW on Aug. 19, 2015, in El Monte, California, and that Johnson in making the disclosure was violating orders he had been given by his superiors. 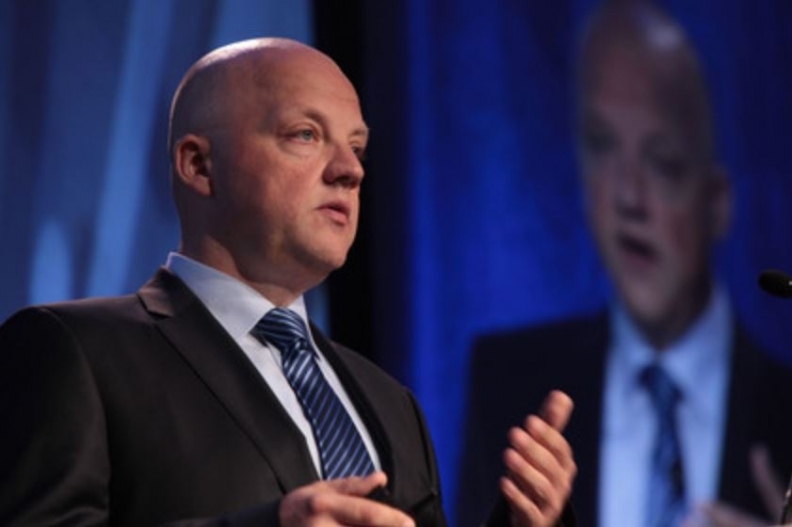 That same meeting is spelled out in the federal indictment of Oliver Schmidt, a former U.S.-based VW executive facing 11 felony charges related to the diesel scandal. 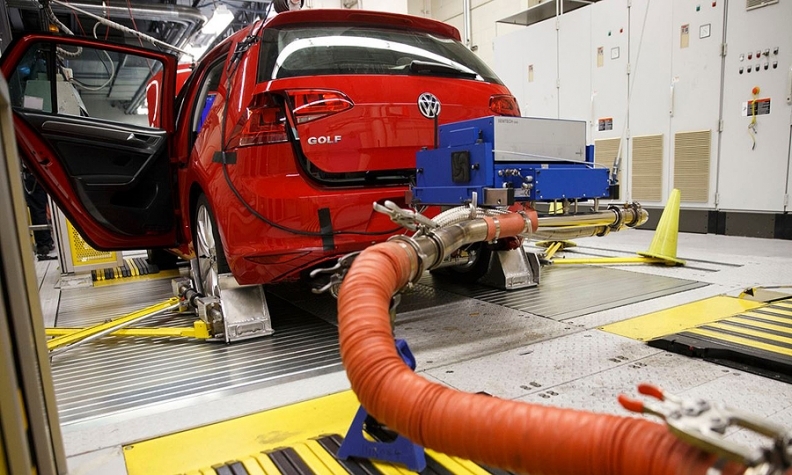 That meeting came after weeks of executive discussions concerning how to keep regulators from discovering that VW had installed a device that would make its diesels meet federal regulations only while running on the dynamometer test. The scandal became public Sept. 18, 2015, a month after Johnson met with Ayala, when the EPA announced that VW had violated portions of the Clean Air Act. In the January indictments of six German VW executives -- including that of Schmidt, Johnson's immediate predecessor in his current job -- the government's main whistleblower is identified only as "Cooperating Witness 1." The indictments say that CW1 "is a VW employee who works in VW's engine development department." It's unclear whether that characterization of CW1's job was deliberately vague to hide the witness's identity. The indictment says the witness "has agreed to cooperate with the government's investigation in exchange for an agreement that the government will not prosecute CW1 in the United States." A second cooperating witness, CW2, whose identity remains unknown, also agreed to cooperate in exchange for an agreement not to be prosecuted, the indictments say. Johnson was deeply involved in attempting to certify the diesel vehicles equipped with illegal defeat devices. Yet he has not been charged, unlike six German executives also involved in that attempt to certify the diesel engines. Automotive News submitted a public records request to CARB on Jan. 19 seeking records from the Aug. 19 meeting. The agency’s response, issued Feb. 24, was largely redacted "as part of an investigation or settlement discussions." However, among the unredacted portions is an internal email among CARB employees from prior to the Aug. 19 meeting. It reads, in part: "VW has requested a meeting on the diesel issue. Stuart Johnson plans to be in El Monte with 4 staff from Germany." It also says: "Hopefully, VW will provide the full details on how the controls really work on the in use vehicles and the 2016 vehicles that have cert(ification) pending." Ewing verified to Automotive News his conversation with Ayala. A spokesman for Ayala did not return repeated messages seeking comment. A spokeswoman for former U.S. Attorney Barbara McQuade, whose office prosecuted the VW scandal and continues to pursue VW executives, declined to comment, citing the ongoing investigation.